This project exists thanks to all the people who have contributed. 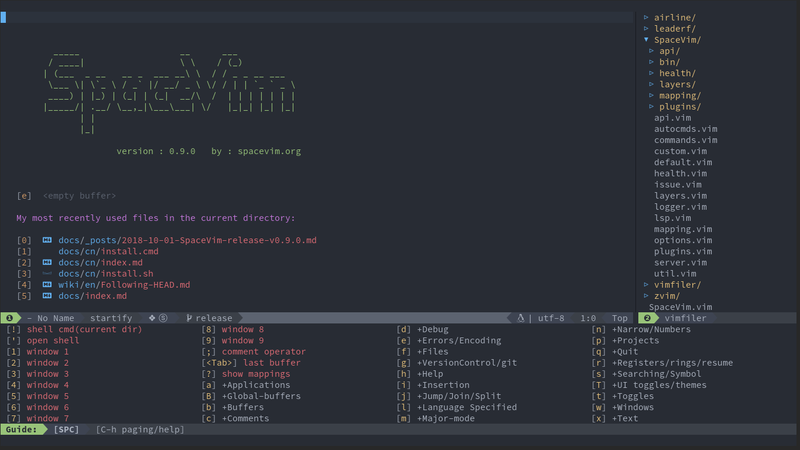 The last release v0.8.0 is targeted on june 18, 2018, so let’s take a look at what happened in the new release v0.9.0. The lsp layer now also support julia, typescript, elixir and bash. frequency support for colorscheme layer. 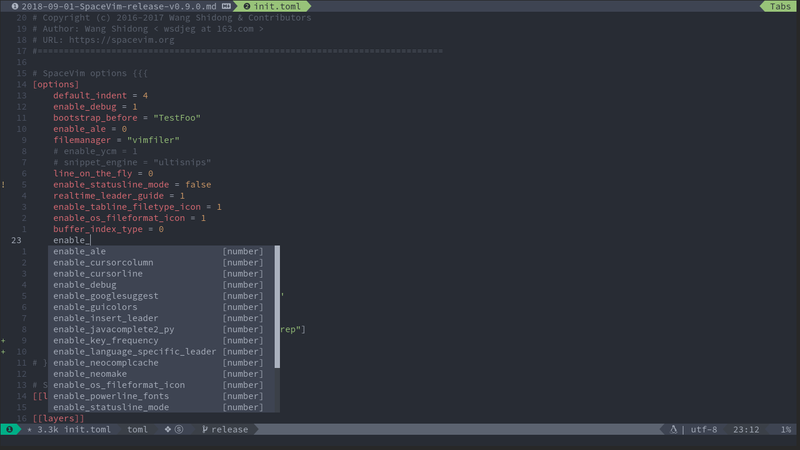 with this feature, you can enable random theme and change the frequency how SpaceVim update the colorscheme. for example, enable random theme, and update colorscheme daily. the name of the tab will be displayed on tabline and tabmanger.